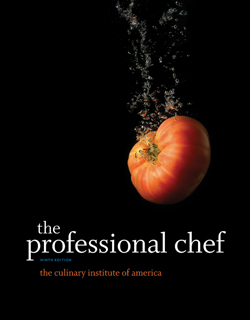 Part of the CIA’s new Kitchen Pro Series focusing on kitchen preparation skills, this user-friendly, full-color resource provides practical information on fabricating beef, pork, veal, lamb, game, and exotic meats. 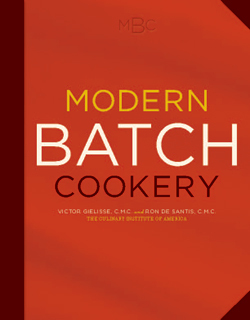 Helpful storage information, basic preparation methods, and recipes are included to give professional and home chefs the information they need to produce well-primed cuts of meat. 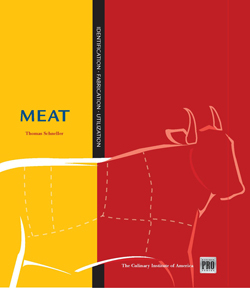 For anyone who believes that butchery is a lost art, The Culinary Institute of America’s Chef Thomas Schneller counters that notion by providing a close examination and explanation of the craft in this clear and concise book. 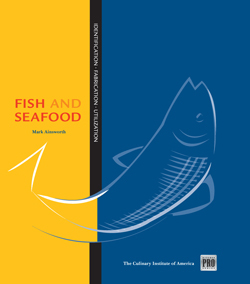 Offers practical information on fabricating everything from beef, pork, veal, lamb, and game to exotic meats. Additional features include storage information, basic preparation methods for each cut, and recipes. 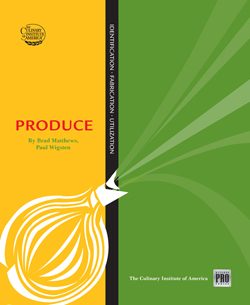 Full color photographs show the distinct differences in each meat type and cut, which is essential in meat identification.